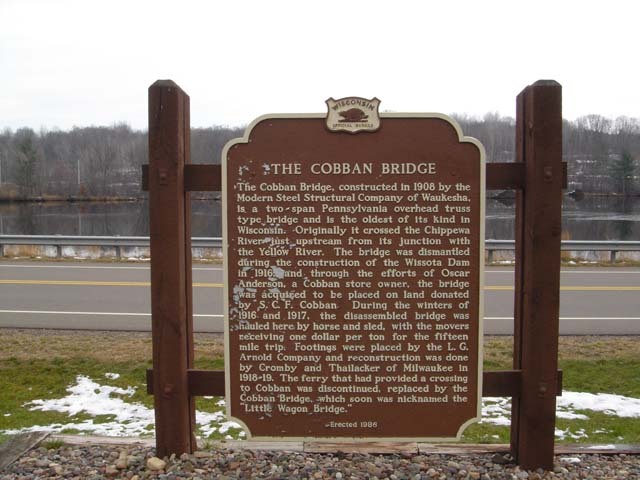 Located 2.5 mi W St hwy 27 on 180th ave marker is on hwy 178 5 mi S Cornell WI Coordinates Lat N 45:06':352" Lon W 91:12'588"
fie Cobban Bridge, constructed in 1908 by the Modern Steel Structural Company of Waukesha, is. 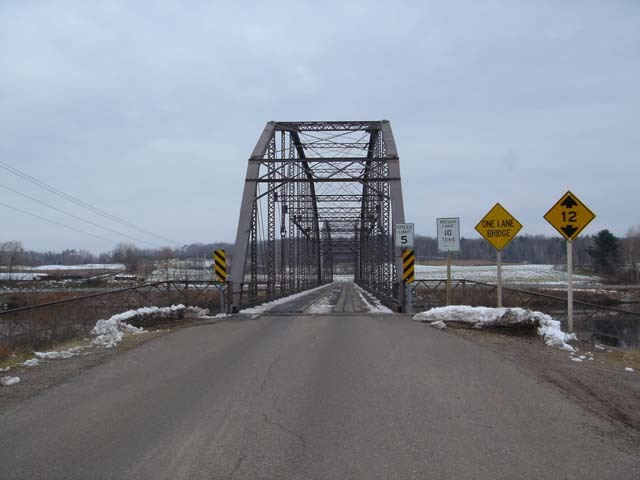 a two ~ span Pennsylvania overhead truss type bridge and is the oldest of its kind in Wisconsin. Originally it crossed the Chippewa River just upstream from its junction with the Yellow River. 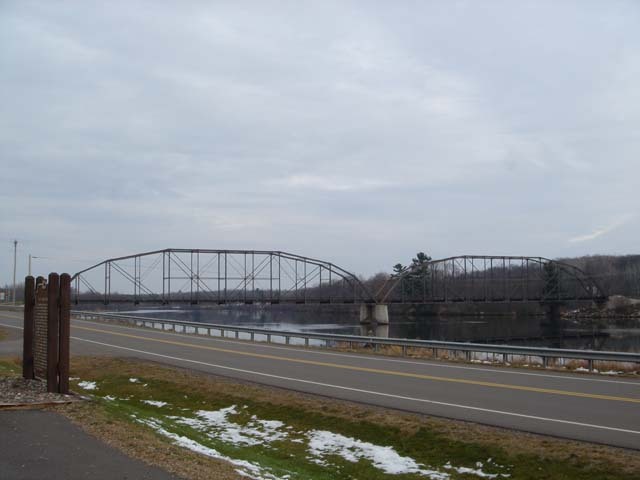 The bridge was dismantled during the construction of the Wissota Dam in 1916 and through the efforts of Oscar Anderson, a Cobban store owner, the bridge was acquired to be placed on land donated by C. F. Cobban- During the winters of 1916- and .1917, the disassembled bridge was hauled here by horse and sled, with the movers receiving one dollar per ton for the fifteen mile trip; Footings were placed by the L. G. Arnold Company and reconstruction was done by Cromby and Thailacker of Milwaukee in 1918-19. The ferry that had provided a crossing to Cobban was discontinued, replaced by the Cobban 'Bridge, --which soon was nicknamed the Little Wagon Bridge."